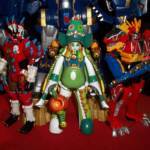 It’s time for another announcement for our annual Toku Toy Box giveaway! With the holidays in full swing we haven’t had time to do a proper video announcement for Super Sentai and for that we apologize. But we felt it important to announce the prizes for the Super Sentai prize package either way – so here we go! To enter Toku Toy Box and how to win Toku Toy Box, simply click here for all the details! Good luck! We will be adding a couple more items to this prize package before Toku Toy Box ends so stay tuned for more details! Good luck and thank you for your continued support! Happy Holidays! Today a listing was discovered on EntertainmentEarth.com for what is listed as a Power Rangers 25th Anniversary Ranger Keys listing. The said listing contains a case of 6 different 5 packs of Ranger Keys. Unfortunately, there is no breakdown for the case. John Green on Twitter of GrnRngr.com is stating that these appear to be part of the Legacy assortment. Check out the official listing of the Power Rangers 25th Anniversary Ranger Keys here. We’ve reached out for comment on what these are. If we receive a response we will update with more information. Our own speculation is that these will contain classic teams and not necessarily complete the missing keys, though it would be nice to get Power Rangers Dino Charge and Power Rangers Ninja Steel represented. Estimated release date is April 2018. Image used in this story is from our Power Rangers Zeo Ranger Keys gallery and not of the actual product listed in this story. 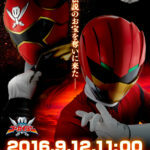 Premium Bandai has put up a brief teaser image for yet another exclusive Ranger Key set! Labeled Ranger Key Set 2000th Edition, this release is expected to feature the members of the 40th Super Sentai Series, Dobutsu Sentai Zyuohger! 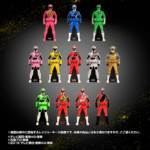 This special set has been produced in honor of Super Sentai reaching a remarkable TWO THOUSAND episodes. 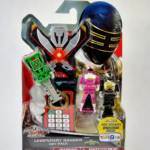 Sadly, no further details about this upcoming Ranger Key set are available at time of writing. A full reveal of the 2000th Edition is currently scheduled for September 12, 2016!